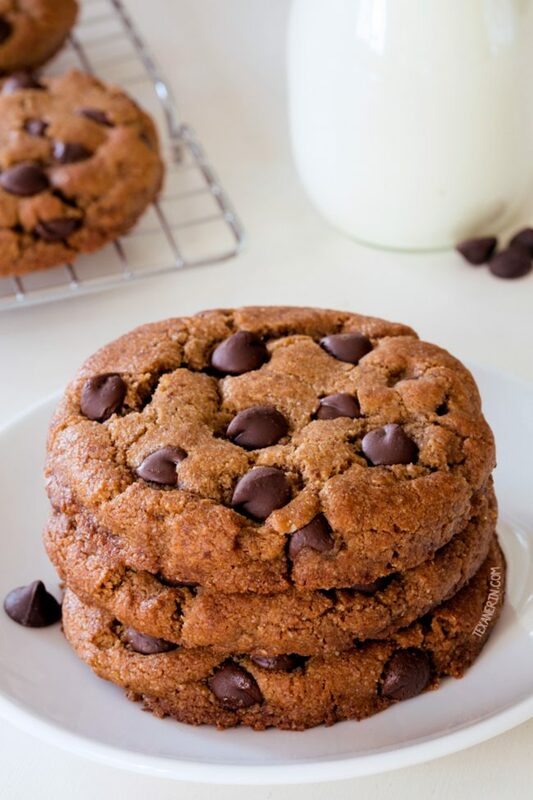 These perfect paleo chocolate chip cookies are thick, chewy and have the perfect texture. Many of the reviewers have called these the best cookies ever and said that nobody had a clue that they were paleo! They also have vegan, keto and low-carb options. Thanks to Bob’s Red Mill for making today’s post possible! 1/24/17: I updated the pictures and added a video. Recipe’s still exactly the same! Also, people have been asking for an all coconut flour version of this recipe so I made these chocolate chip coconut flour cookies and they’re just as delicious as the recipe below! My paleo and grain-free recipes have been seriously lacking as of late. I ran out of my favorite Bob’s Red Mill almond flour months ago and I’ve been so frustrated with the brands of almond flour I’ve been buying here in Germany since they’re so inconsistent. Because I didn’t want to deal with the hassle of ordering flour from the US, I thought I’d wait it out until December, when I’ll back in the US and can buy all the Bob’s Red Mill I want. But then I got a hankering for chocolate chip cookies. And I really wanted to make paleo cookies. So I went to work and while every batch tasted amazing, the appearance and thickness was different every single time. The only variable? The almond flour. The almond flour I’d been buying varies from brand to brand and even within the same brand. They come in tiny 1-cup bags here so I go through a load of them when recipe testing. I’d open up one bag and find some finely ground almond flour, then I’d open up another bag from the same company, and it was overall coarser with bits of sliced almonds. Sliced almonds! In my almond flour. That was the final straw. If you have Bob’s Red Mill in a retail store in your area, you can use one of these $1 coupons. The cookies made with Bob’s Red Mill came out thick, chewy and just as delicious and magical as all-purpose flour chocolate chip cookies. I doubt that anyone would be able to tell that these are paleo cookies! And every batch comes out the same. Hooray for consistency! So the almond flour obviously plays a huge role in the final outcome of these paleo chocolate chip cookies. Another thing that will affect the cookies is the temperature of the coconut oil. If you make these in the summer when room temperature coconut oil means melted coconut oil, you’ll need to refrigerate the coconut oil until it’s firmer, like softened butter. If you make these dairy-free cookies with melted coconut oil, the dough will be very greasy and the chocolate chips will be hard to incorporate into the dough. You’ll also need to chill the dough if you use coconut sugar rather than brown sugar. I made one version with brown sugar and one with coconut sugar at the same time and the brown sugar cookies were nice and thick while the coconut sugar version spread flat and was super thin. I refrigerated the remaining coconut sugar dough until firm and that resulted in nice and thick cookies, just like the brown sugar version! Just a little darker colored. 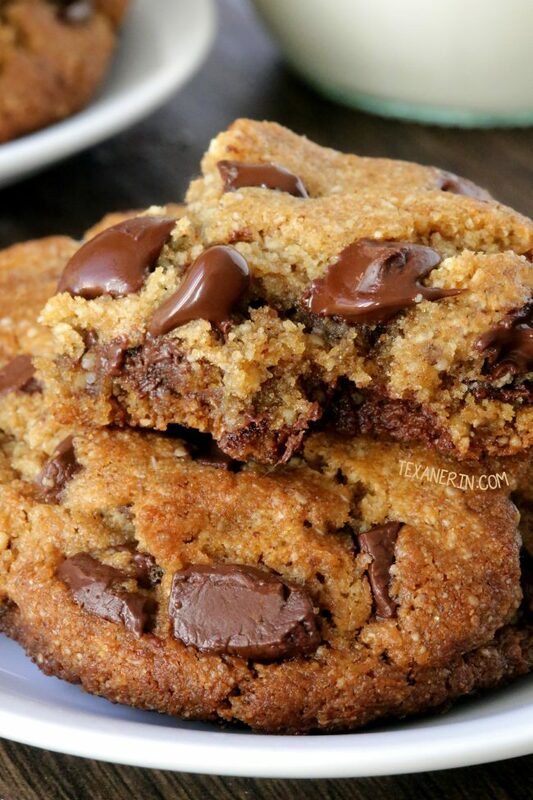 If you can’t tell by the pictures, these perfect paleo chocolate chip cookies are huge. Instead of making 8 cookies, you can make 16 to get regular-sized cookies. I just prefer how they bake up with gooier and chewier centers when they’re larger! I’ve now made a few variations of these paleo cookies. There’s my paleo oatmeal cookies (which don’t actually contain oats!) and my paleo peanut butter cookies (which don’t actually contain peanut butter but use sunflower seed butter!). If you’re reading this post around Christmas, you have to try my paleo peppermint cookies. Double chocolate + peppermint. SO good! 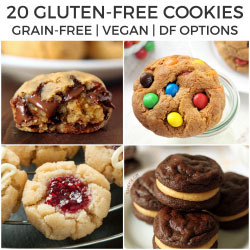 For even more selection, check out these 75 Paleo Cookie Recipes You Can’t Resist! Please read the footnotes at the bottom concerning substitutions! In a large mixing bowl with an electric hand mixer or using a stand mixer, beat together the fat and sugar at medium speed until well combined, about 1 minute. If you use coconut oil, it may not come together easily. If that's the case, use your hands to combine it and then beat another 20 seconds. Bake for 11-14 minutes (if using coconut sugar) or 14-17 minutes (if using brown sugar) or until the surface of the center of the cookies no longer appears wet. They'll be very soft but will continue to cook as they sit on the cookie sheet. If you don't have almond flour, you could try a different type of nut flour. Unfortunately, nuts flours aren’t interchangeable with non-nut flours. I’ve heard of people using sunflower seed flour as a sub but I've never tried it and have no idea if it'd work here. There's no sub for coconut flour. I haven't tried these with ghee or shortening or anything other than coconut oil and butter. I don't recommend using honey, maple syrup, date syrup, etc. They make the cookies very cakey and in my opinion, not worth making. I don't recommend making these with peanut butter. I’ve made these so many times with homemade peanut butter (with just peanuts and salt in it) and while the cookies aren’t a disaster, I just don’t think they’re very good. The texture is so different than the almond flour version and they’re not very peanut butter-y. For dairy-free / vegan: use coconut oil and dairy-free chocolate. For keto / low-carb: use Lakanto Monkfruit Sweetener. Golden and Classic work. Some consider it paleo, some don't. 1439 comments on “Perfect Paleo Chocolate Chip Cookies (vegan / keto options)” — Add one! 11 comments are awaiting moderation! I really want to make this recipe but I don’t have an electric mixer or handheld electric beater. Would it be naive to try to mix this by hand? So sorry for just now seeing your question! You can make it without but you’ll probably need to use your hands to get the coconut oil (which has to be firm and not melted) incorporated well enough. Woohoo! I’m so glad to hear that. And I google the same exact thing when I want to make cookies, too. :D Thanks for your comment! I am going to make these cookies for tomorrow evening’s book club. If they come out as amazing as everyone says, then I would like to make and send them to my son who lives in Colorado. I noticed your recipe says the cookies can be stored for up to 3 days. What happens after three days? Do they go bad? It will take at least three days for them to get to him via US mail. I’m honored that you picked this recipe! I’m sorry that they’ve ruined other cookies for you, though. Although I guess that’s kind of a good thing? ;) Thanks for your comment! Love these cookies! I make them smaller and 48 cookies out of one batch. Yum! Can you tell me the nutritional value on this recipe? 48 cookies! Wow. That’s a good way to make them last longer. :D I don’t have that info but you could use this recipe analyzer for the nutritional profile. :) Thanks for your comment! 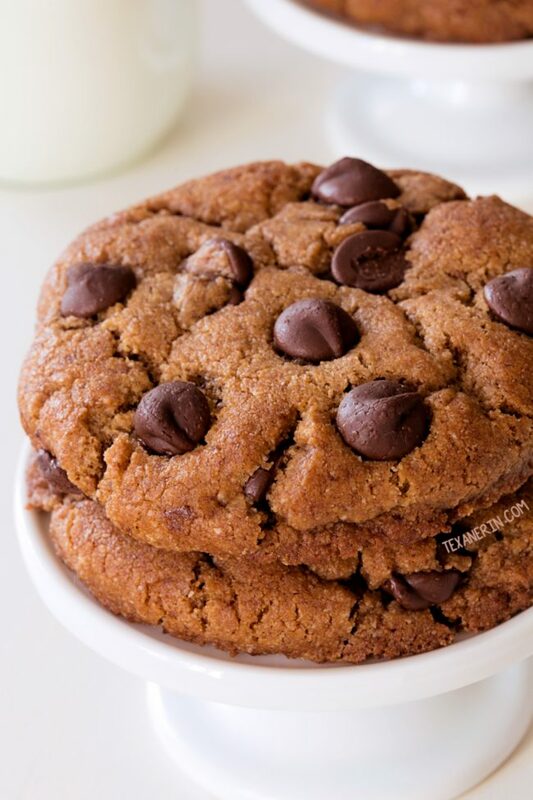 OMG…These really are the best Paleo Cookies EVER! Never thought I would taste a cookie that even came close to the ‘real deal’ again, thank you sooooo much for sharing this recipe! Followed it pretty closely, just didn’t have the extra 1/4 cup of chips, and made them smaller than you suggested, so reduced the bake time to about 9min. They came out PERFECT! Chewy, sweet, deliciousness! You’re welcome! I’m really glad that you like them so much. :) And I’m with you on the thinking I’d never taste the real thing again. Paleo desserts tend to be… less than awesome. ;) Thanks for your comment! Please update the recipe step by step directions on Pinterest. It fails to mention when to stir in dry ingredients. Luckily I’ve baked enough to know to do this step and the cookie came out delicious! Thank you for sharing. I’m happy you liked them! I unfortunately have zero control over what shows up on Pinterest, though. I have never added any recipe directions there and can’t change what other people have added there. I made these came out great I did substitute a little. I had homemade peanut butter instead of almond butter, I used stevia in the raw I could not find coconut sugar in my stores, and I used a chia egg and coconut oil. Other than that recipe was same. It came out great though. I am very happy with results. These are the most AMAZING chocolate chip cookies I’ve ever had! The whole family absolutely loved them!! Yay! I’m so happy to hear that! Always a bonus when the whole family loves them. :) Thanks for your comment! Girl, I have pulled a LOT of recipes off the interwebs over the years, and this one is most definitely in the top THREE of Greatest Internet Recipes of All Time! I hope you are proud of this – it’s amazing! Thank you and Happy 2019! I’m so sorry for just now seeing your comment! I didn’t realize I wouldn’t have internet at my in-laws over the holidays. :/ I’m so happy that you think these cookies are in the top 3 internet recipes. Woohoo! What a compliment. :D Thanks for your comment and sorry again. I think size matters here, too! I think most people make them smaller but I like them big. :) I’m so happy that you enjoyed the cookies and think they’re the best. :) Thanks a ton for your feedback! Im having issue with analysis on nutritional value, more specific carb count. Can you help? Made these cookies, but substituted 3/4 cup banana flour for the 1 cup of almond flour & they turned out great !! As iam french I don’t get if you mean « almond flour flour» or « almond meal from ground almond nut »? Because too many time in a english recipe they call for one,and i see the other one on their pictures or videos .So everybody have their own perception of this denomination « almond flour ». And I have the same question about the « coconut flour »,is it the coconut flour flour or the ground coconut meal? I love these cookies! I substituted 1/2 cup Swerve for the coconut sugar and they came out with a nice texture and tasted delicious! Thank you! Oh, that’s interesting! I’ve tried with Swerve before and they didn’t spread at all and were like little hockey pucks. Did you make any other changes? I have the hardest time with low-carb sweeteners! Thanks for your feedback. :) I’m glad that you enjoyed them! Thanks so much for the info! I can’t wait to try that out. I hope your mother will enjoy them, too. :) Thanks again! I’m not sure why, but mine turned out nearly inedible — they were super dry and crumbly! Almost like sand or chalk. Which surprised me since the recipe is so highly rated! I didn’t use any subs and used all the same ingredients. Any idea why this might have happened?? Delicious! First batoh I did exactly as the recipe said and it was so tasty…second time I have substituted almond butter to 100% crunchy Peanut Butter and Its great too! I like both versions, would say that I wouldn’t use that much oil with peanut butter next time, but other than that it works fine. You’re welcome! I’m happy that you enjoyed both versions. :) Thanks for your comment and the tip on using less oil when using peanut butter! I never comment on these things -thats how incredible these are. These are the best chocolate chip cookies I have ever made, period. Don’t skip the chilling, it helps so much. I used coconut sugar for the first time and it was great! Thanks for my new go-to cookie recipe! Hi! Sorry for just now seeing your comment. And best ever?! Yay! I’m thrilled to hear that. And that you were inspired enough to leave a review. :) Thanks a bunch for your comment! You’re welcome! I’m very happy to hear that you’ll be making them for years to come. :) And how awesome that even your husband loved them! Yay. :D Thanks for your comment! 3/4 cup coconut sugar is around 116g, not 150g like the recipe says. So which measurement should I follow?? 3/4 cup tightly packed coconut sugar is around 150 grams. I use cups + grams when measuring and that’s what I get (it’s also what the back of the bag says – 192 grams for 1 cup). These were incredible – my husband, daughter and I were in awe at just how yummy they were! I saw a reference to doubling the batch – any special instructions when doing that? Whether baking time, etc? Thanks again for a wonderful recipe and all of the responses to the comments. I’d rate it 10 hearts!!! Erin replies to Adrienne G.
Thanks for the 10 hearts! :D There aren’t any special instructions for doubling the recipe. You’ll have to do two batches (or more depending on your cookie sheet size) but the baking time would stay the same. These were amazing! I used wholemeal Spelt flour instead of almond (as I didn’t have) did 4 T coconut oil and 2 T olivani (DF) and I totally forgot the almond butter as I was rushing with a toddler assisting. I literally just beat it all together and threw in the choc chips and they turned out amazing!! How much fat and carbs are in these? I made these & they came out suuuuuper soft, very bread like. I am in love with them. I put them in the freezer to firm up more & added low carb vanilla ice cream & made cookie ice cream sandwiches with them. I’m in LOVE with the recipe. I used SF chocolate chips & crunchy almond butter, but again they were delicious. You’re welcome! I love the idea of eating these with ice cream. Sounds delicious! What brand of chips did you use? Thanks so much for your comment! If using butter, how much do i use for this recipe? I have made paleo chocolate chip cookies in the past and they did NOT turn out very well. When I made them following your recipe, I made them with peanut butter because it is the only nut butter I have in my pantry right now. They turned out perfectly and taste a-maz-ing!!!!! I just made your cookies using almond flour. Chocolate chip cookies are my all time favorite, but at my age i can’t always eat a lot of sugar. When I found your recipe i became so happy. Well I’m happy that you became so happy. :D Did you use all almond flour or also the coconut flour that’s called for? Thanks for your comment! Yes I did use Coconut flour along with the almond flour and they turned out perfect. They looked and also tasted like the real thing. I can not express enough how happy that makes me. I know that feeling well so I totally understand. :) And thanks for coming back to let me know! Sounds great! I’ll have to try that. Thanks for the tip! Just made these with a few substitutions and they were great! Everybody in my house liked them, even those that don’t always like sweets or cookies. I used xylitol instead of coconut sugar and chocolate chunks instead of chips. I used a tablespoon to portion out each cookie & 11 mins was the perfect baking time for them. They didn’t spread that much, so I got away with putting them and inch or two apart instead of four inches apart. You’re welcome! It’s great that your sugar-free version came out well. :) What brand of xylitol did you use? Thank so much for sharing your version with us! I used the Xyla brand, it’s made from hardwood trees. I think some brands are made from corn, which could be gmo, so I prefer the hardwood type. And no problem! Hi. I have a sugar substitute that is a stevia/erythritol blend. Do you think I could substitute this in your recipe? If so, how much do you think I should use? These cookies are the best I have ever made! I’d take these over the nestle recipe I grew up on any day! It has been over 3 years since I’ve had gluten, but even my family members who eat the standard American diet thought these were amazing. Seriously, do make them already! Oh and tip, I always double the batch because one batch is never enough!! Omg! These are absolutely delicious. These are better than Starbucks cookies. I don’t feel guilty eating these. My kids totally enjoys them. We will be making these cookies more often. Your the best. Thank you for the recipe. Better than Starbuck’s?! Wow. I’ve never had them but I’ll take it as a big compliment. Thank you! :D I’m so happy you and your kids enjoyed them! Thanks a bunch for your comment. In the recipe video you add dry milk, but in your recipe it doesn’t state it in there. Which is correct? I’m assuming no dry milk as that’s not Paleo friendly. Hi, would you happen to have the calorie count for this recipe? Thank you. These are my new GO TO for chocolate chip cookies! I love that I can feed my family a delicious snack that has healthier ingredients. 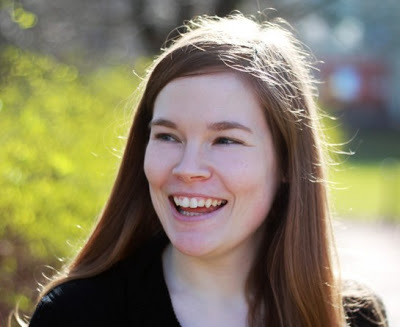 Thank you, Erin!! Can you sub almond flour for all coconut flour? Also, can a milled flax egg be used instead of a chia seed egg for vegan substitute? You can with certain changes. I link to the coconut flour version in the second paragraph and I’m assuming flax eggs would work but I haven’t tried it (I talk about that in the coconut flour cookies post). The cricket flour as a slightly nutty taste so it pared well with the almond flour. It also absorbs a lot of liquids like coconut flour so it seemed be a good sub (by weight). Next time, though, I might try decreasing the coconut oil or increasing the coconut flour to get a bit more chewiness in texture. Can I use maple syrup or honey in the recipe? Unfortunately not. It makes them very cakey and fall apart. I used agave! I just added maybe an extra tablespoon of coconut flour (since it’s so absorbant) to take it the extra liquid! I also chilled it for a bit in the fridge before rolling out to make sure the dough would hold, like you said. They came out perfect! Your recipe is amazing!! That’s great to know! So they were still really chewy? Not at all cakey? Thanks for letting me know how they turned out! So nice of you to make them for a new mom! I’m happy that your other friends (especially the picky ones!) liked them, too. :) Thanks a bunch for your comment! These are AWESOME! Magical for someone who loves dessert but has started a Paleo lifestyle! Is there any way to gauge nutritional value on these, specially calories? Woohoo! So happy that you found them to be magical. :D I don’t have that info but could use this recipe analyzer for the nutritional profile. Thanks for your comment! Have you tried making these ahead and freezing the raw dough in balls? I usually make a massive batch of cookies and then freeze them and bake as needed. I generally thaw them overnight on the tray and then bake from the fridge. Can you freeze the dough without making the cookies into balls first? I was planning to make 3 batches to put into my freezer tonight but wasn’t planning on making the dough balls until I wanted to use them. Will this be a problem? Sorry for just now seeing this! That’s not a problem at all. You can freeze the dough in a disc / log / whatever, in balls, or already baked. I hope you’ll enjoy them! Can you sub anything for the coconut flour? My kiddos can’t do coconut. I’m also thinking of trying maple sugar instead of the coconut sugar. First time making these I used brown sugar and it was good! Second time I used coconut sugar and they were even better!! Thank you for this, just started paleo and we’ve been struggling with cravings for desserts and this did the job! I just made these for my hubby, and he loved them! I even lowered the sugar to 1/2 cup, and he was still raving about them. We just discovered he’s a bit gluten intolerant, so I’ll be keeping this recipe on hand for him. Thanks girl!